The Board of Public Works approved Wednesday paying $1 million to a Colorado-based contractor that will study whether Maryland schools receive adequate funding. The irony of this was not lost on Comptroller Peter Franchot, who emphatically protested the decision. As dictated by a law passed by the legislature in 2002, the Bridge to Excellence in Public Schools Act, the Maryland State Department of Education (MSDE) needed to conduct a financial audit in-house or hire someone to do so in 10 years. That was later amended so the study would begin June 2014 and end December 2016. 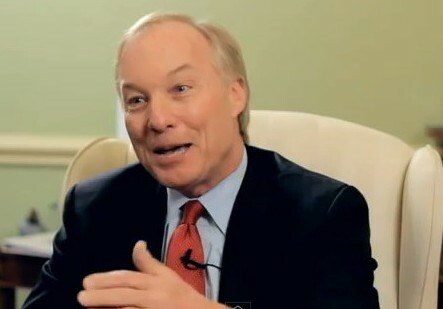 While Franchot was a member of the legislature, he voted in favor of the law, known as “Thornton” for Alvin Thornton, chairman of the Commission on Education Finance, Equity, and Excellence. The State Department of Education will provide a total $1,051,100 to Augenblick, Palaich and Associates (APA), the consulting firm in Denver. Franchot questioned a representative of the Education Department, Kristy Michel, at the meeting as to why the study couldn’t be conducted by any of MSDE’s 1,600 employees. Michel, the department’s chief operating officer, said though the APA firm will be partnering with the University of Maryland, College Park, existing staff did not posses the “technical skills” needed to analyze the study’s results. “We absolutely have the expertise in-house that know how these state formulas work, and we will be working very closely with them when they come in. We just don’t have the expertise to perform some of the analysis they will be doing on our behalf,” Michel said. APA staff will be collaborating with chief financial officers and other local school officials and dropping on teachers and institutions across the state, she said. APA has collaborated with MSDE on a similar report in the early 2000s, but APA Vice President John Myers said he couldn’t remember how much APA was paid. The report APA will be preparing now is more comprehensive and includes pieces of analysis in transportation, among others. Gov. Martin O’Malley and Treasurer Nancy Kopp voted in favor of the contract with little discussion. Kopp was no longer in the legislature when it voted on the Thornton law.